Here are a couple of cards I made for some challenges. 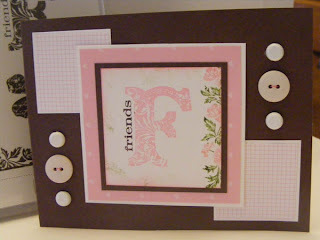 All materials are from Stampin'Up! These are some of the new stamps. Aren't they great? I'll be back tomorrow to give you the details of what I used. Have a wonderful night. 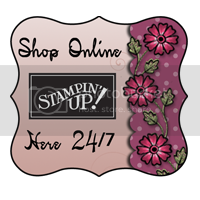 Only 11 more days left to earn some free products from Stampin'Up! Remember for every $50 you spend you can pick a free stamp set, punch or even paper from the sale-a-bration (see link on the left) brochure. There are some super new stamps you can pick. Sorry I haven't posted anything in awhile. It has been so darn busy around here. We went to visit my sister last week in NC. We had a nice visit. It has been such nice weather around here these past few days. I am so glad winter is finally over. I will post some projects I did tomorrow..Promise! Have a wonderful night.